Hi there, my darlings! 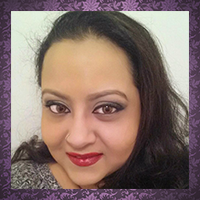 Today's post is all about...INNOVATION in beauty! As most of you know, my degree is in Science and as a scientist, I'm all about new and innovative products that not only make my life easier but are great little multitaskers. Lip balms that can also be used as blushes? Yup, love them! Mascaras that also promote lash growth? Yes, please! How about buffers that are infused with body wash? 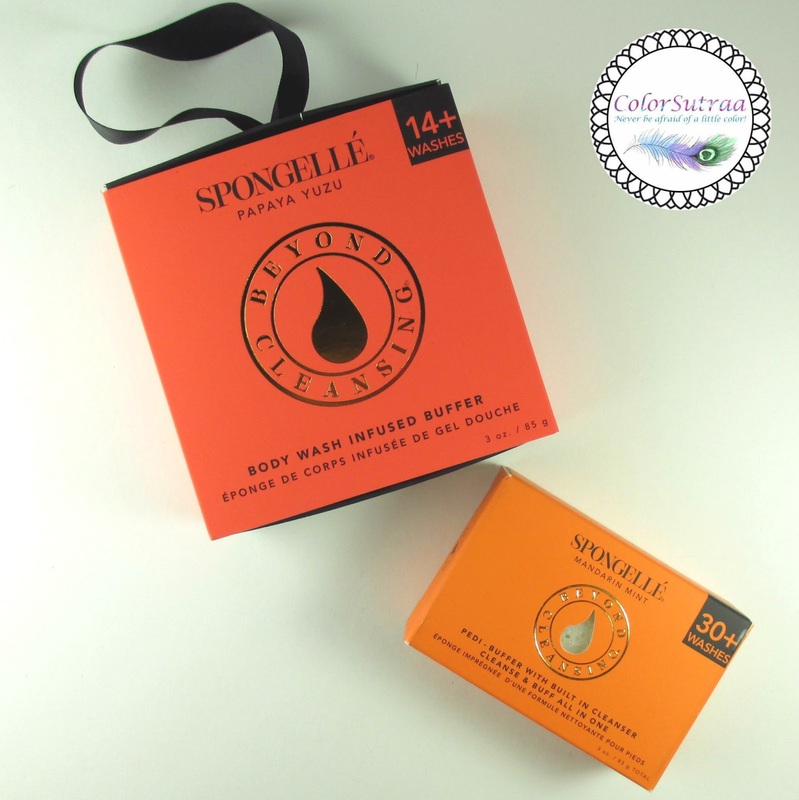 That question brings us to today's review of two products from Spongellé. What products does Spongellé make? 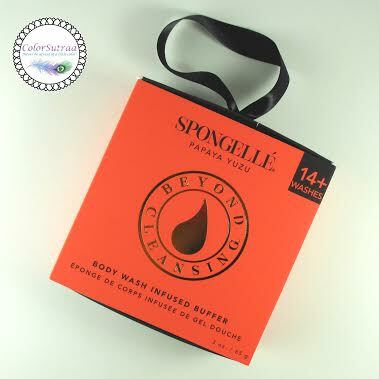 Nothing else pampers, protects and beautifies the skin like Spongellé. Textures are designed for gentle exfoliation, to whisk away dry skin, stimulate circulation, and provide a delightful massage at the same time. One delicately scented buffer is an elegant alternative to the endless bottles, jars, lotions, creams and powders, and to ordinary sponges, loofahs and wash cloths, providing all of their individual benefits in a modern marvel of design, technology and sheer feels-so-good indulgence. Spongellé is 100% USA made. The infused bath products were first introduced in 2003. This innovative new category has achieved a welcome reception all around the world, wherever demanding consumers seek the newest and best ways to maintain a youthful appearance and healthy skin and enjoy the pleasures of transforming a mundane ritual into an exhilarating new experience. Perfectly packaged & designed to moisturize, rejuvenate, restore the skin, from neck to toe. A unique surface changes instantly as you squeeze, from a sensual exfoliating massage texture to as soft as silk. Our technology provides a guaranteed number of uses. IMPRESSIONS : First of all, this smells SO good! Like intoxicating! I brought this with me to India because I knew there would be a some opportunity to pamper myself and WOW! Just wow! My entire carry-on smells divine, thanks to this little buffer! I love how my skin all but glowed after using it! Now, I wouldn't recommend using this every day--buffers are exfoliators and essentially work by removing dead layers from your skin. Use it once a week and your skin will feel soft and refreshed. Since it's not nearly as messy as a scrub, you can put this is a Ziplock and toss it in your carry-on, like I did. Perfect for taking with you on all your summer travel expeditions! Soothing Extracts of Arnica, Sea Kelp, Peppermint. IMPRESSIONS : My feet are...a problem area. Not matter how many pedicures I get or how much lotion I rub into them, they still tend to get calluses. Now let's be real : ain't nobody got time...or money for a pedi a week! This product then is a total winner for me! Travel-friendly, this buffer lets me give my feet a good scrubbing in between pedis. With a surprisingly lovely scent (I'm usually not a fan of mint), I really like that I can get 30+ uses out of it. Since it's pricier than regular buffers, it's this fact alone that sold me! So there you have it, my darlings! If you would like to add any of Spongellé's buffers to your stash or pick one up for a loved one, you can find them on their website HERE. What do you think of these products? Which do you think you would like in your beauty stash? I'd love to hear your opinions in the comments section below!